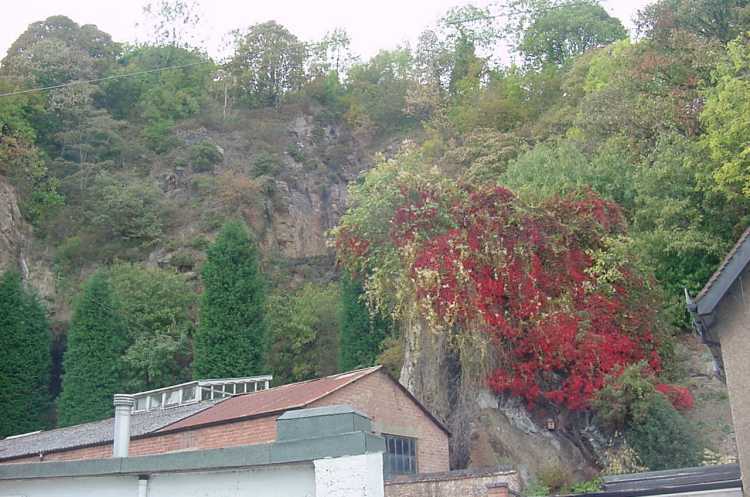 As its name implies this is the lower of two quarries near to the Wyche Cutting on the Malvern side of the hills. The quarry is on the west side of the Old Wyche Road near to the junction with Westminster Road. This photograph, taken by H.E. 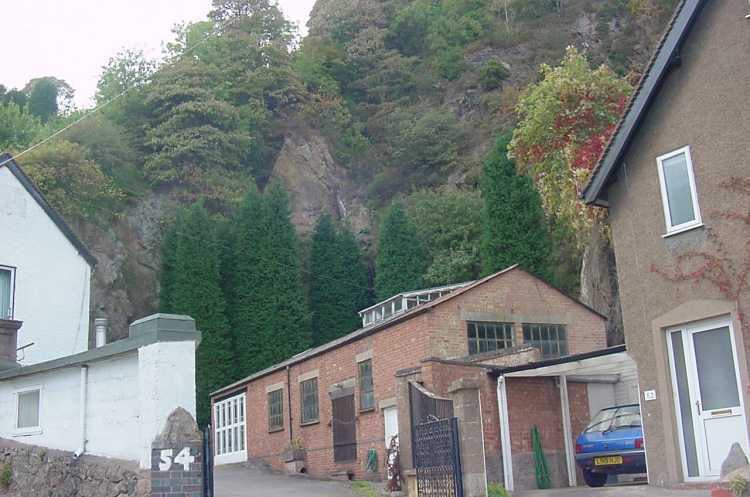 Dowghty in about 1907, has been used with permission of the Malvern Hills Conservators. It shows that this was quite a small quarry. The Old Wyche Road is out of sight to the left hand side of the photograph whilst the Wyche Road is also out of sight above the top of the quarry. This view is taken from approximately the same position as the earlier photograph. 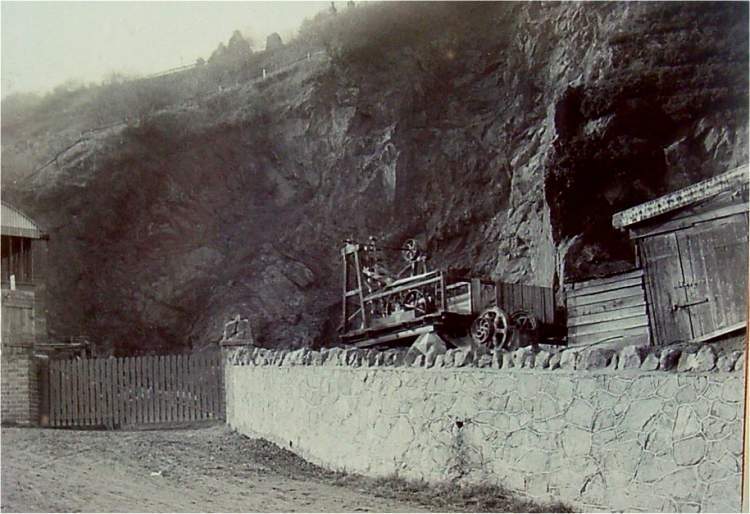 A contractor's yard occupies the site of the original quarry buildings but note the distinctive overhanging rock on the right hand side that also appears in the early photograph. Both of the colour photographs were taken by Andrew Smith on 30th September 2002.